My husband and I have found a $50 or $100 bill simply lying on the ground with no one around in sight ... three times. Sometimes we make our luck and at other times life just happens. Whether you're lucky in love, just plain lucky, or in need of better luck, why not celebrate the role that luck and chance play in your life with a playlist of rock, pop, and country songs? We have a long list to start you out with. Luck and I are long-lost strangers. This chipper country song from 1992 features a narrator who is super positive (or perhaps just deluded) that she is going to win the lottery today. She therefore calls in sick to work and proceeds to take all kinds of crazy chances. Our lucky lady hits the local bar to celebrate her upcoming lotto win and treats everyone there to a round, while the waitress gets a car. I think I want what she's on, don't you? Think I'll flip a coin I'm a winner either way. Mmmmm I feel lucky today. What's the Most Unbelievable Lucky Thing That's Ever Happened To You? This 2008 pop song is a declaration of love between two people who feel fortunate to have found love with their best friend. They don't like being apart and feel lucky to be coming home to one another. If they still feel this way 30 years from now, then they'll really be lucky. The poor narrator in this 1984 rock song is down on his luck because all of his friends are married while he remains a lonely bachelor with an ex-girlfriend whose memory still haunts him. He looks at couples snuggling and wishes he had someone to share those awkward public displays of affection. Sheesh. Leave it to Madonna to sexualize the words of an old nursery rhyme. She's always been classy this way. "Come on, shine your heavenly body tonight" somehow gives the "Starlight, star bright" rhyme a bit of an ick factor. Regardless, this 1983 rock song was Madge back in her heyday, thrusting and twisting as she sang how lucky she was to know her bright shiny lover. Do you really want to be the last one standing, the last viable option for someone? Tell him his luck just ran out! This R&B song from 2010 portrays an extra lucky day in which the protagonist gets green lights throughout. There are no stop signs, no red lights, and no traffic lights to slow him down. He's on his way, and nothing will stop him. In this 2011 pop song a narrator recognizes that his girl is scared to fall in love. She's tentative to try again after having her heart broken. However, he says he's someone she can trust, and he can satisfy her needs. He wants her to take a chance on love with him. Will they both get lucky? If he keeps this risky behavior up, his luck just might run out. If you've ever bet on love knowing you'll probably lose, then this 2009 rock song should resonate. The guy tells his beloved that "No act of God can pull me away from you," yet he's also realistic because he knows that their relationship may take them different places. 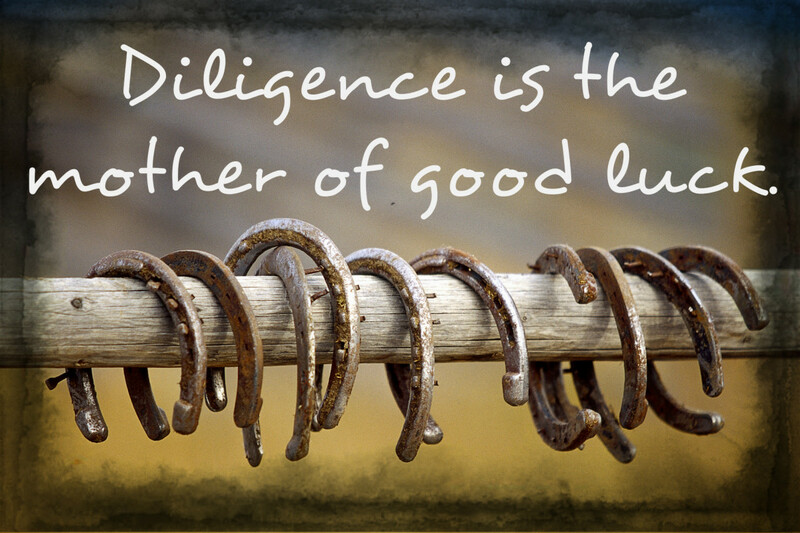 He's willing to lay it on the line and take a chance, hoping that luck will be on their side. Like the most negative of Nellies, Alanis Morissette needs an attitude change, some happy pills, or both. 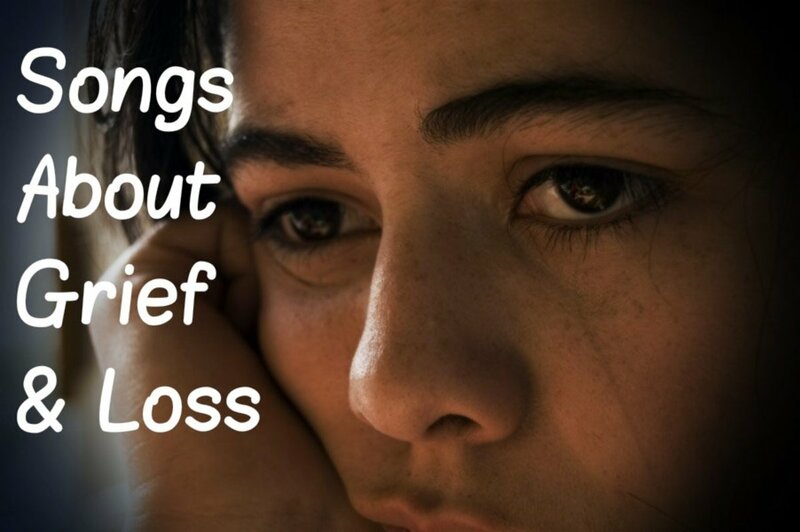 She highlights a laundry list of very unlucky situations. If you listen to this 1995 song too much, you may risk becoming equally bummed. A free ride when you've already paid. Ease up, Alanis. We often make our own luck, you know. A male friend of mine divides his life into two segments: life before he met his lovely wife and life afterwards. He reminds me of the man in this moving 2001 song who is absolutely smitten with his beloved. The narrator explains how is the luckiest man to have known and loved her. Someone's hoping for a party in their pants. In this fun 2013 pop song about getting your sexual chemistry fix, the narrator has one thing on his mind when it comes to his lady friend: getting lucky. Feeling vulnerable, lost and lonely, the narrator in this 2007 pop song wants to take a chance on love (or something remotely like it) with someone she barely knows. This could turn south quickly (as in finding herself in a body bag), or on the bright side, they could both find themselves lucky in love. Seems to me like she's playing Russian roulette with her heart. Maybe Britney foresaw some of the tough times she had ahead of her when she recorded this pop song in 2000. It's about a Hollywood girl whom everyone assumes has it all. However, she's lost in an image and finds herself crying at night. then made a come back. With all that has happened to her, isn't she a lucky lady to have made it through? I used to conduct hourly hiring at a manufacturing plant and sometimes was faced with ex-cons looking for employment. This 2006 country song tells the story from their perspective, how once they've paid for their transgressions, it's hard to find someone to give you a second chance to earn a living. 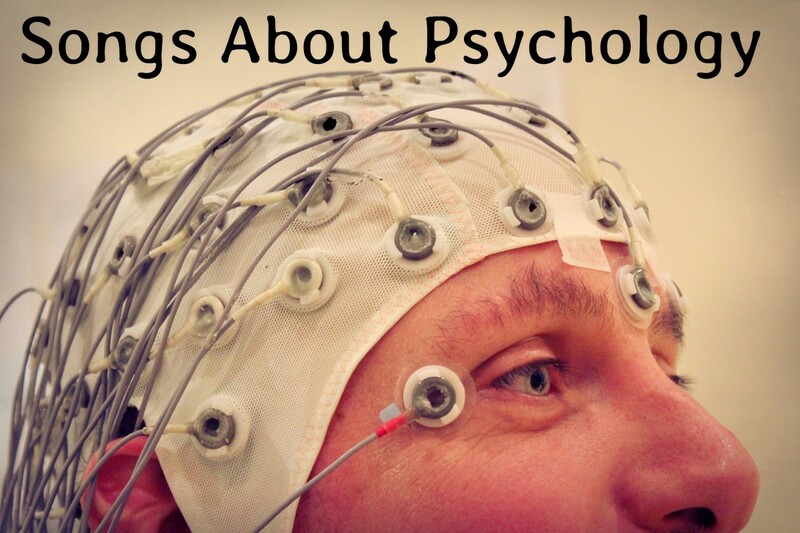 Be sure to watch the video for a real perspective-changer. The guy in this 1990 song has been hurt before, so he has walled his emotions off to protect himself. However, it looks like he's found love again and he's ready to risk getting hurt again in order to experience the joy that love has to offer. The real Barry Manilow was married briefly to a woman in the 1960s, but it lasted only a year before their marriage was annulled. In 2015, Manilow finally took a chance again by marrying his longtime manager, Garry Kief. "When I grew up, everyone was okay with being in a bubble. They were cool in their circle. That's fine. But no one should discourage someone if they have a dream, if they want something more [...] This song was difficult for me to write the lyrics to because it's about my mother and my father, and about the day I said goodbye to them, because I had to go try, and I'm still trying, every day, to become a man. So, this song is about that. It's about the moment that you wake up and you decide you want to go for every single dream you ever want." This 1978 pop song reminds us that with a little luck and a lot of teamwork, anything is possible. 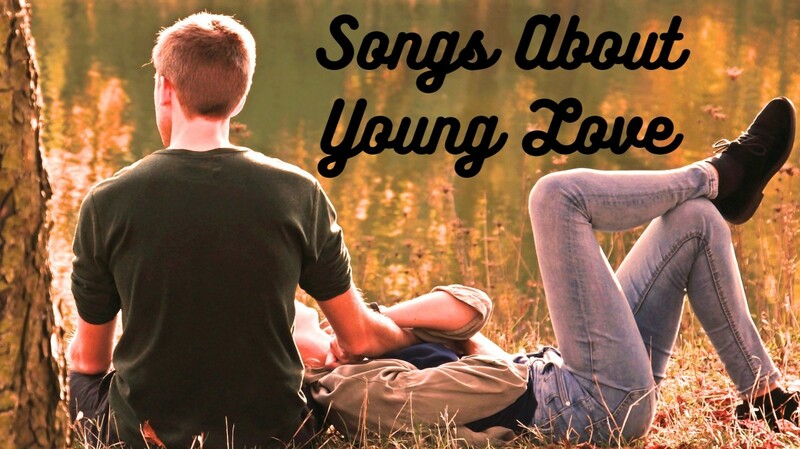 If you've ever bet it all on love, then this 1993 country song should strike a chord. The narrator likens winning the affections of his love interest to a high stakes gamble. 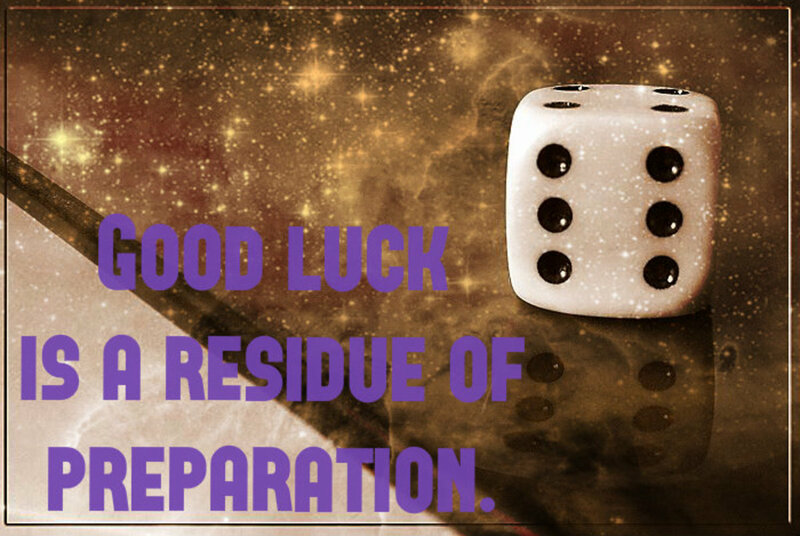 He's been to the table and lost it all on a good run of bad luck, but he's hoping for a windfall this time. 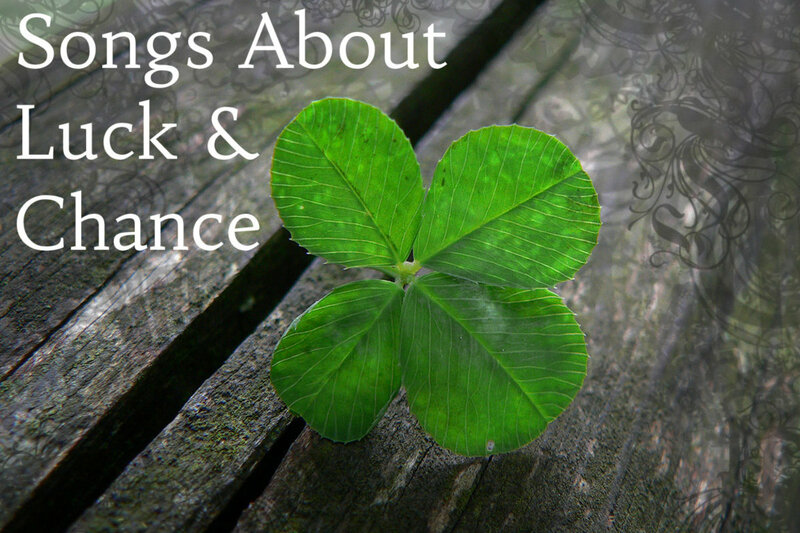 Know a song about luck and chance that should be on our playlist? Make a suggestion in the Comments Section below! Tara - Thank you. You've made my day. Have a good one. 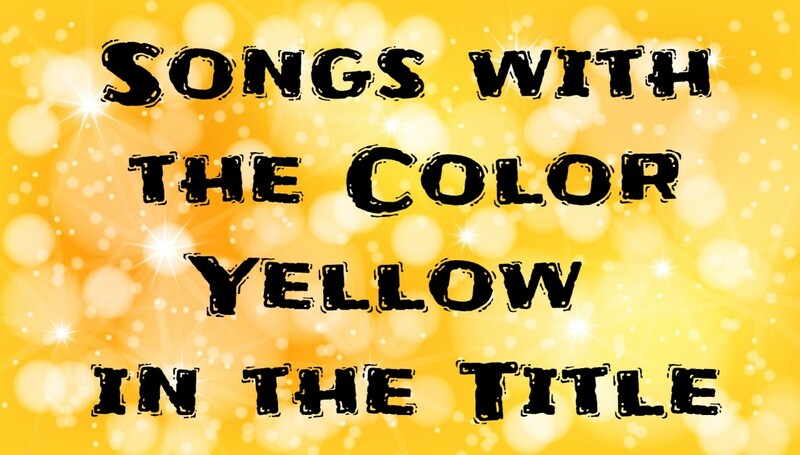 Probably you can add The Lucky One by Taylor Swift? Bodylevive - Hope you have a really lucky weekend! Happy St. Patrick's Day! Wow, you really know how to star a day off! This is great, really enjoyed the read and listening to the songs. Gypsy Rose Lee - I wish you the best of luck in publishing your poems and in all you do. Great choices as always. Your hub makes me feel lucky today. Jo - Thanks for stopping by. 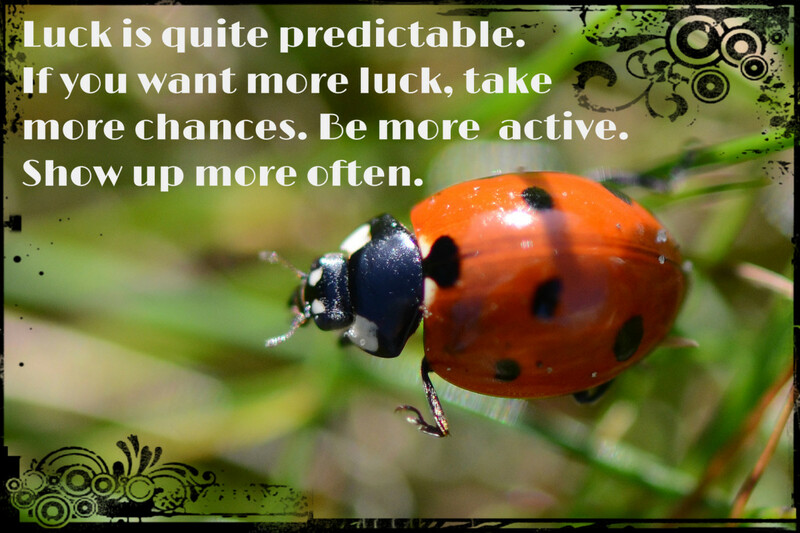 Have a really lucky week! I'm feeling lucky to start my day today with another great song list. Thanks. Linda - Alanis Morissette's lyrics (not just this song) are often real bummers and sometimes freaky. Since the 90s I think she's mellowed. I've read that she is Buddhist which really surprised me. I don't know if that happened before or after this song. 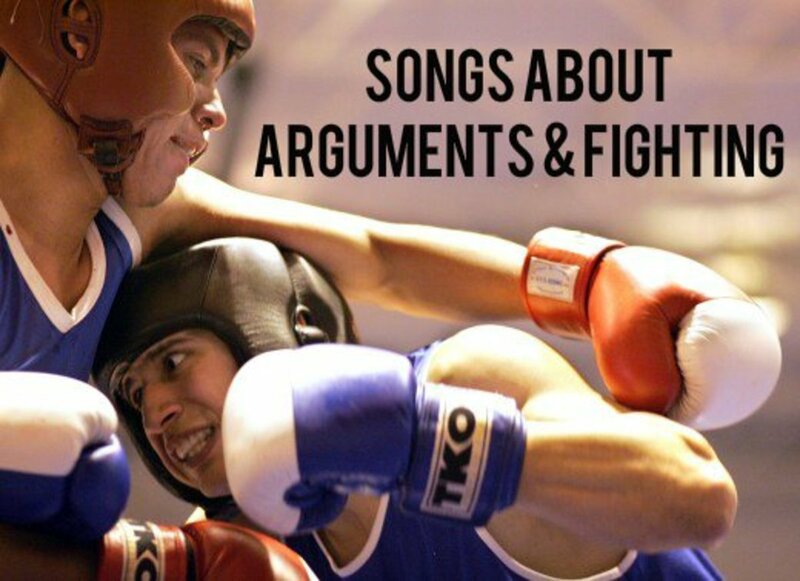 Thanks for creating yet another interesting playlist article, Flourish. As usual, you've included some songs that are new to me, which I appreciate. The lyrics of the Alanis Morissette song sound depressing! The situations that she describes are definitely unlucky. Patricia - With 7 inches of snow and counting, I need all the luck I can get! Thank you, dear lady, for your kind compliment. Have a healthy, wonderful and prosperous new year. Wishing you a blessed and happy and LUCKY new year. Heidi - Thank you for the suggestion. I will add it. May good fortune smile upon you as well this new year! Kyriaki - I feel fortunate to have you as a loyal reader. Thank you for your encouragement and may the year ahead be the luckiest one yet for you, filled with happiness, fulfillment, and much success. Shyron -That old HeeHaw tune sticks in my mind, too. It's something all that your family goes to in the name of superstition, but if it works for you, then wonderful! 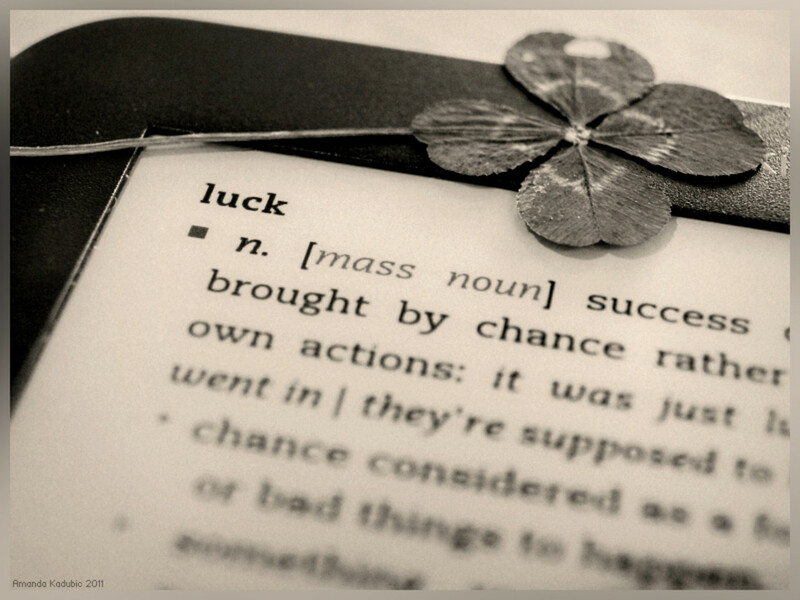 Luck does have a way of pairing us up with the partner we need, sometimes against some mighty odds. Have a blessed and happy new year full of so much success you don't know what to do with it. Larry - Thank you. Have a lucky week, my friend. MsDora - Thank you for your kind comment. Have a lucky week in the Carribean while the those of us in the US battle snowstorms! Linda - I added Lucker. Who knew? I love learning about places with neat or unusual names. You must know someone there or you've traveled there. So many different takes on luck. I like the quotes. Another great compilation of songs. First of all, Happy New Year, Flourish! Wish you the best! May 2017 be full of your music pieces (!) that make us see that there is more to music than pressing the car radio button. Now for the piece. I certainly didn't know that there were so many songs talking about luck - despite being brainwashed with Pharell's song at the time. Honestly, it was the only one that popped into my head when I first read the title, but -thankfully- you proved me wrong. Good way to start the New Year! The only one I can think to add to this great list is Three Coins in the Fountain sung by Frank Sinatra, The Four Aces, and a host of other popular singers over the years. Hope your New Year is filled with Good Fortune. Cheers! Flourish, the most unbelievable fortunate (we don't say L**k in this house, things work backwards on us) As the old song goes "If it weren't for bad l**k, I'd have no l**k at all". As I was saying the most fortunate thing that happened to me was meeting and marrying my present hubby. My favorite on here is Celine Dion and of course the Gambler I think of Kenny every time I sit down at the poker table. The closest I can come to the kind of songs you have here is Donna Fargo's "Happiest Girl in Whole USA"
justthemessenger - They must've had a lucky charm when people were voting. Thanks for stopping by! Have a lucky and happy 2017! Hope you don't get snowed on too badly this coming weekend. Flourish - This was a fun way to begin the New Year--songs about luck tend to be a bit more positive and uplifting. But I'm a bit of a skeptic; I don't believe in "luck". I feel that things happen for a reason. (That's my story, and I'm sticking with it). 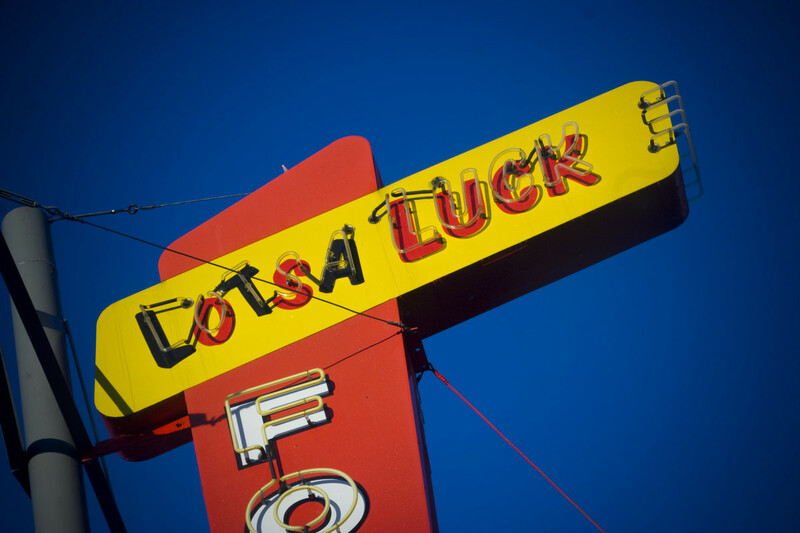 I have one more "Luck" place to add to your list. There is a "Lucker" in England. It is in the northeast corner near Bamburgh (close to the borer with Scotland). Randi - So glad to see you again! I feel lucky! Have a lucky, happy and successful 2017! Bill - Glad I was able to include some of your favorite groups! Hope you are well and smiling from the inside out. May this be your lucky year! I'm so impressed by the amount of time, energy and research you've done to compile this playlist. It took me s bit to read it because I had to play every song! Thank you fir a great start to the day! Oddly, The Gambler was the first song to pop into my head, an oldie but a goodie. It was good to see Mraz and Five For Figthing in the mix, two of my favorite performers. Always an enjoyable read, my friend. Keep them coming.